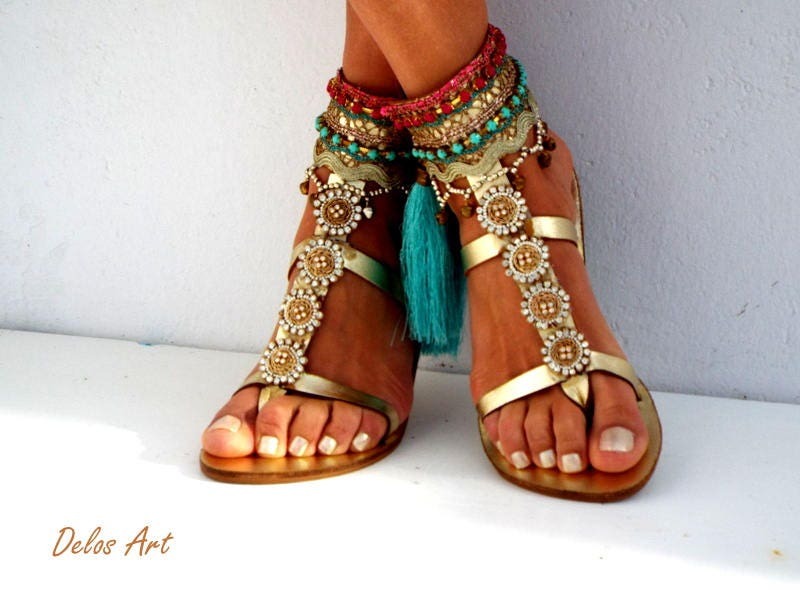 You'll feel and look like a goddess in these sandals. 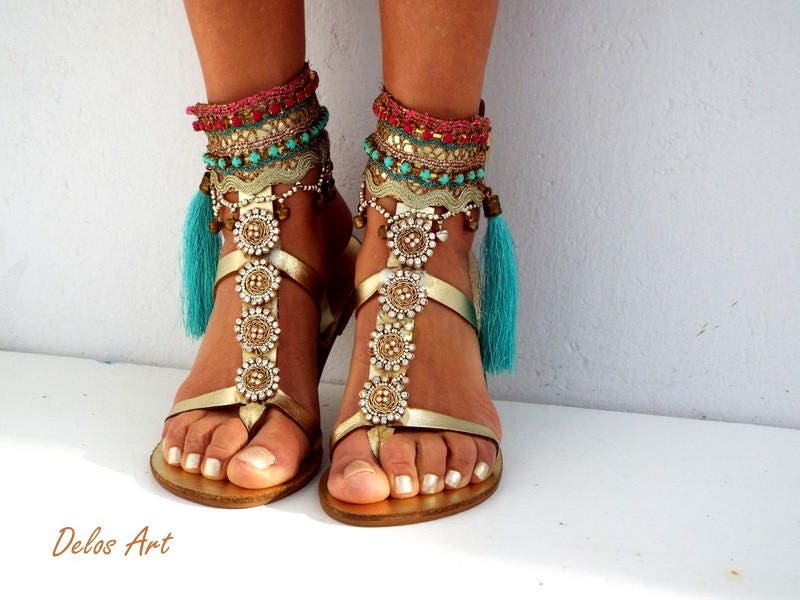 They are made with unique golden mandala rhinestones elements, beautiful lace in pink, turquoise and gold, adorned with small gold bels and turquoise tassels. A real eye-catcher. There are only two of a kind. Be unique with this gorgeous authentic Delos Art leather sandals. Just bought these sandals and I’m in love with them they r sooo nice and sparkle thank u sooo much, shipping to Australia took less then a week . I highly recommend them u won’t b disappointed! Maria was great to work with, she customised colours and then they shipped quickly. I got them for an event that is still not for awhile yet, so apart from trying them on when they arrived I have not yet worn them but so far they seem comfy. I adore these shoes! They are well made, super cute, and gorgeous. They make a lovely jingly sound when you walk. Good shoes for belly dancers or type ones (live your truth.) They came a whole lot faster than etsy said, so by the time I was able to leave a review, I forgot. So glad I got these, they are well worth the price! 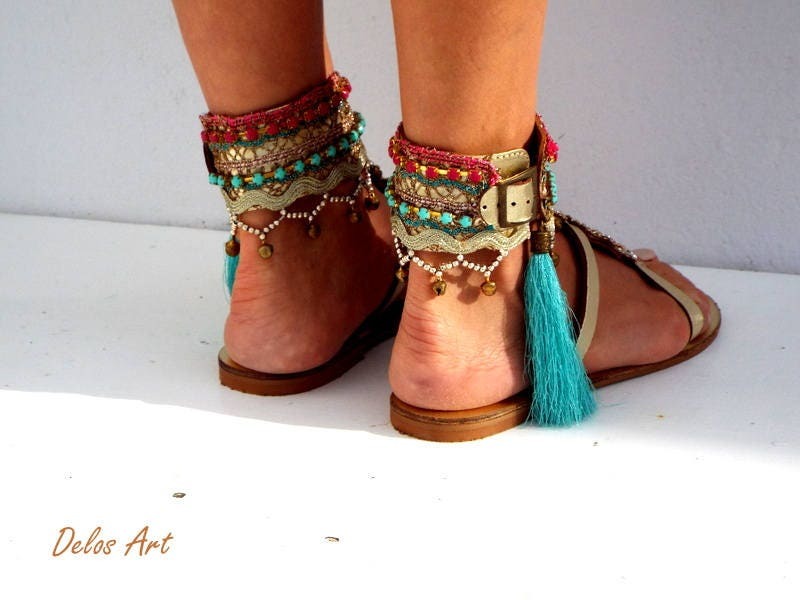 Great, one of a kind sandals!